The social media play a large role in your work; communication (Blog/TV/Network), the activation of public space, citizen participation / user activation. This is an aspect that goes beyond traditional architecture. How exactly to you come to utilize the media in your work? Is there a pattern to this: do you generate projects with the use of media, or do you integrate media into your projects? 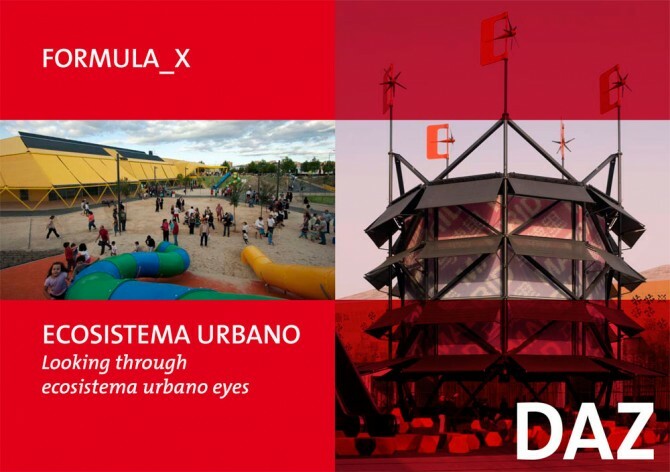 Belinda Tato Serrano, Jose Luis Vallejo Mateo, Michael Moradiellos del Molino and Domenico Di Siena, the four partners of ecosistema urbano have been interviewed by Kristien Ring, curator of the FORMULA_X exhibition series on young architects. INTERVIEW / OFFICE PORTRAIT: “ECOSISTEMA URBANO” 24 Pages, English. The exhibition “ECOSISTEMA URBANO, Looking Through Ecosistema Urbano Eyes” > 18.11.2010 – 16.01.2011 at the German Center for Atchitecture DAZ, Berlin.